By allocating your philanthropic dollars to ensure the greatest impact, we have earned a reputation as a trusted, effective charity that makes a real difference in the Jacksonville community and around the world. There are many ways to make a donation to the Jewish Federation of Jacksonville. You can make a pledge or make a donation to the Federation Annual Campaign on the website. 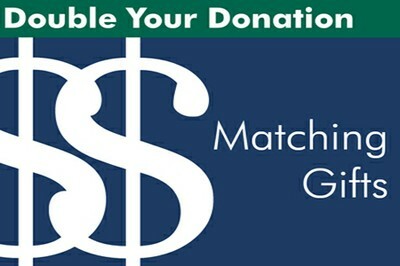 Click on the link above to learn more about Corporate Matching Gift. The Jacksonville community continues to navigate severe economic challenges much like the rest of the country. More of us are relying on the services of Federation-funded agencies to help make ends meet. But we are also coming together like never before. We are making a difference. You can too! The Jewish Federation of Jacksonville continues to strengthen, enrich and celebrate Jewish life, especially during difficult economic times when our highest priority is helping people in need and in crisis. A philanthropic Jewish community ensures stability for our future. Wherever in the world Jews are in harm's way, our Federation and our overseas partners have a unique ability to act quickly in emergencies. From wars to acts of terror to natural disasters there is so much we can do to alleviate suffering. Thank you for your interest in corporate matching gifts. Many local and national corporations have established a matching gift program to encourage philanthropic giving among their employees. By taking advantage of matching gifts, you can maximize the power of your gift to create a lasting legacy in our community. Click here for a list of all the companies that will match contributions to Jewish Federations. For questions regarding matching gifts, please contact Patrick Burke, Director of Finance and Administration, at 904-448-5000 x1202.